Pre-Purchase Persian Gulf Map for DCS World! Pre-Purchase the Persian Gulf Map now for $39.99 and save 20%! The price will increase to $49.99 at the end of May 2018. The Persian Gulf Map for DCS World focuses on the Strait of Hormuz, which is the strategic choke point between the oil-rich Persian Gulf and the rest of the world. Flanked by Iran to the North and western-supported UAE and Oman to the south, this has been one of the world’s most dangerous flash points for decades. It was the location of Operation Praying Mantis in 1988 in which the US Navy sank several Iranian naval vessels. The region also includes the vast Arabian Sea that is well-suited for combat aircraft carrier operations, and it will be an amazing area of operations for the upcoming Hornet and Tomcat. Be it from land bases in Iran, UAE and Oman, or from the deck of an aircraft carrier, the Persian Gulf Map offers a wide array of combat mission scenarios to prove your mettle. 200,000 sq km highly detailed map area that centers on the Strait of Hormuz. As part of DCS World 2.5, this map include highly detailed terrain, textures, seas, and buildings. 13 accurately created airbases in Iran, the UAE and Oman. Airbases include a variety of landing aids that can include TACAN, VASI lights, realistic approach lights, and VOR. 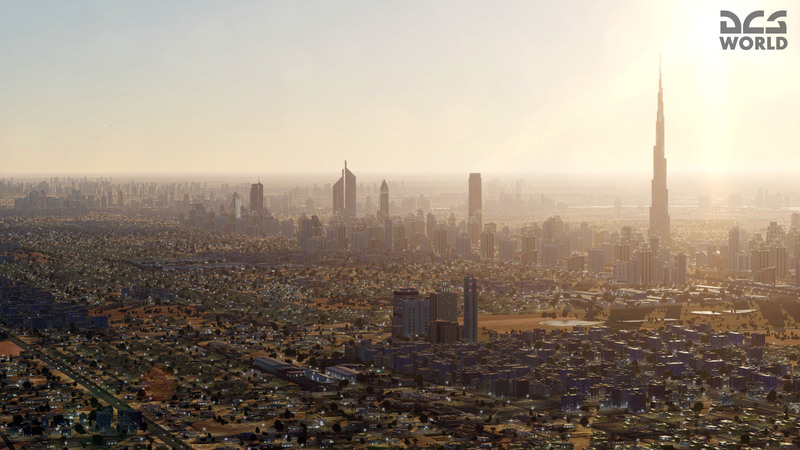 Detailed cities such as Dubai, Abu Dhabi, and Bandar Abbas with unique buildings. “Strong Hold” islands such as Abu Musa, Siri, and the Tunb islands. Iran, the UAE and Oman will be added to the list of DCS World nations. Unique trees, bushes, grass and other vegetation using speedtree technology. Varied terrain from towering mountains and valleys to desert plains. Tagged DCS World, Uutiskirje, Weekend News.